It’s Saturday, April 29, 2017 at 7:35pm — just 25 minutes until The Spring Sixties Spectacular concert kicks off on stage at New Brunswick, NJ’s State Theatre! 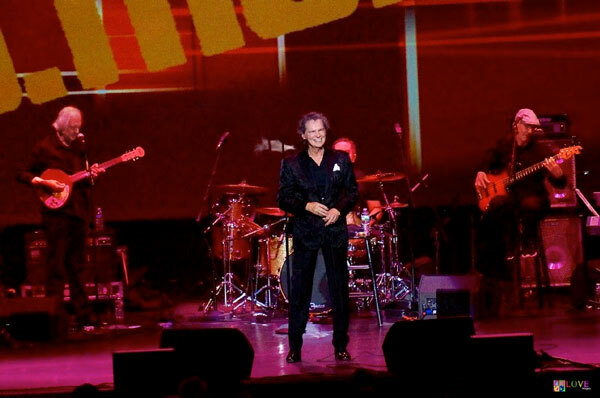 This year’s edition of the Spectacular — brought to NJ by “NY’s Duke of Rock & Roll,” producer Harry G — features four great acts from the 1960s: The 1910 Fruitgum Company, Dennis Tufano, BJ Thomas, and Herman’s Hermits starring Peter Noone! Joanne from Montvale says she’s seen Peter Noone “over 100 times” in the past five years and is so proud of being a Noonatic, even her license plate is emblazoned with a variation of the term! 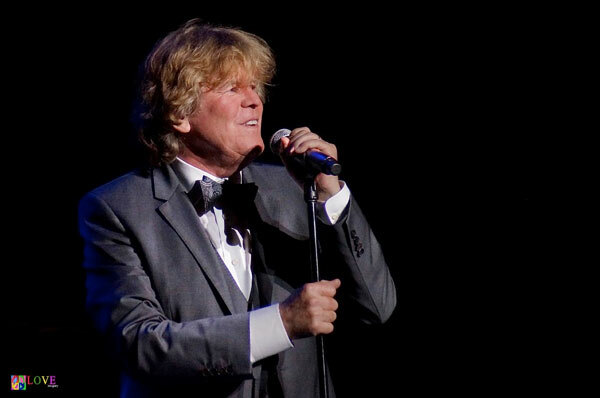 Amy from Jersey City is such a fan of Peter Noone’s that once, on the way to Ohio for a concert, she totaled her car, but rented another in her attempt to make it to the show on time. Last but not least, Kathy from Wallington indicates she’s been a fan of Noone’s for over two decades. In addition to attending concerts with the Noonatics — along with several of her friends here tonight — Kathy has become involved in social action on behalf of her musical idol. Specifically, Kathy helps to produce a yearly calendar of live concert photos, for which all proceeds go to one of Noone’s favorite charities, The Unity Shoppe. This non-profit organization helps to provide shelter, food, and clothing to underprivileged citizens in the Santa Barbara, CA area. In fact, each year, Kathy volunteers to travel to California to present a check to the charity consisting of proceeds from the sale of the calendar. As we wrap up our chat, we notice the lights in the lobby start to blink, so we — along with the Noonatics — rush to take our seats for the Spring Sixties Spectacular concert which is about to begin! First to take the State Theatre stage is The 1910 Fruitgum Company, featuring Mick Mansueto on vocals, Frank Jeckell on guitar, Bob Brescia on keyboards, Glen Lewis on bass, and Keith Crane on drums. The group opens the show with a bouncy version of the 1968 bubblegum classic, “Yummy Yummy Yummy,” originally recorded by their Buddah records label-mates, The Ohio Express. The audience sings along on every word. After a cover version of the 1968 Young Rascals’ hit, “A Girl Like You,” the group performs their own 1968 Top Ten smash, “Goody Goody Gumdrops.” They follow that up with the 1966 Paul Revere and the Raiders’ hit, “Kicks.” As they perform, kaleidoscopic colors swirl onscreen behind their famous logo, enhancing the swirling sounds of founding member Jeckell’s electric guitar and musical director Brescia’s ‘60’s-sounding keyboards. Moving on to the Fruitgum Company’s own 1969 single which reached #2 on the Billboard charts, the quintet performs “Indian Giver.” Crane’s driving drumbeat compels the audience to tap their toes as they sing along on the famous “Indian Giver, Indian Giver, you took your love away from me,” refrain. 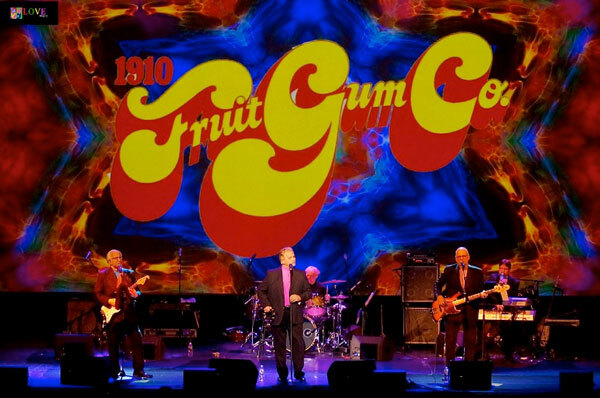 Moving on to yet another Fruitgum Company number — their 1968 Top 5 record, “1, 2, 3 Red Light” — every time the well-known chorus comes around, the crowd approves with avid cheers and applause. 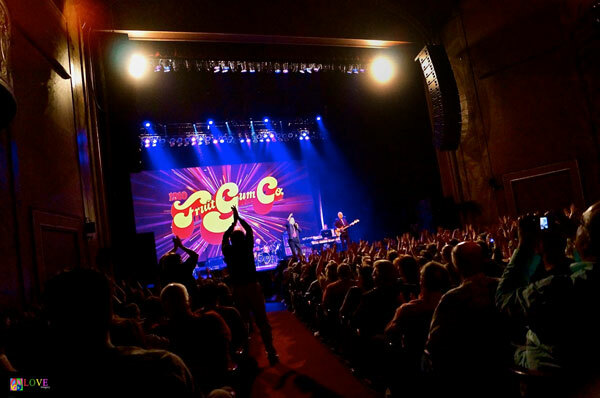 To conclude their segment of the Spring Sixties Spectacular, the band announces it’s time for their biggest hit — a song which exploded onto the charts in 1967, sold over three and a half million copies, and made The 1910 Fruitgum Company a household name — “Simon Says.” During this engaging number, the group has the crowd — some even out of their seats — with their hands up happily playing along. After directing the audience members to wave their hands in the air, shake them all about, and clap their hands double-time singing, “You’re all doing fine,” The 1910 Fruitgum Company has the entire crowd on its feet expressing their love for these classic oldies tunes! Within moments, Dennis Tufano takes the stage. 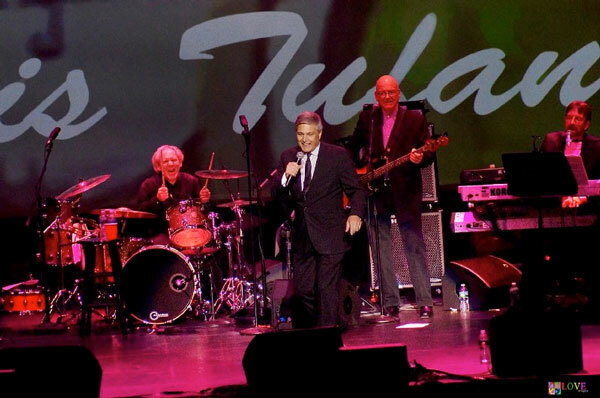 Tufano — the original lead vocalist for the well-known ’60s group, The Buckinghams — opens with a lively version of the group’s Top Ten hit, “Don’t You Care,” as images of girls in go-go boots flash on the screen behind him. Solidly backed by the musicians of The 1910 Fruitgum Company, Tufano moves on to another Buckingham’s hit, 1967’s “Hey Baby (They’re Playing Our Song).” On this catchy number, Tufano invites the willing crowd to sing along on the “Hey baby” refrain, the audience clearly enjoying the ride. “You’re lovely people because you love ’60s music!” exclaims Tufano. At this point, he launches into a smooth version of Bobby Darin’s 1959 hit, “Dream Lover,” the pleasing sound of Tufano’s voice enticing the audience to continue to sing along. Segueing into yet another Darin hit, Tufano sets the audience members’ toes to tapping, and some even get out of their seats to dance on 1958’s “Splish Splash.” The crowd joyfully joins in singing with Tufano each time the “How was I to know there was a party going on?” lyric comes around. On this special number, Tufano shows off his outstanding vocal skills, with audience members singing along while others freely dance in the aisles, all fully enjoying the good vibrations flowing during this magical musical moment. Following a well-deserved standing ovation, Tufano asks the audience, “Do you like the blues?” When they respond in the affirmative, he performs another Darin number — a blues song — entitled, “Funny What Love Can Do.” On this rollicking selection, Tufano sings with blue-eyed soul and even stretches out playing the harmonica, much to the audience’s delight. 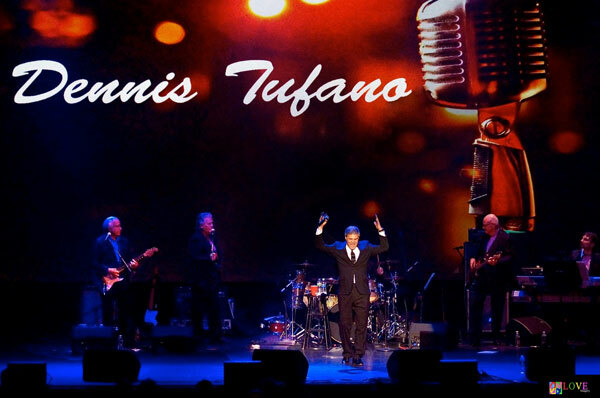 With this number, Tufano makes an indelible impression on the crowd as he sings, “You got to live for yourself, for yourself and nobody else,” eliciting yet another standing ovation for this talented entertainer who clearly appreciates his fans and whose fans clearly appreciate him. 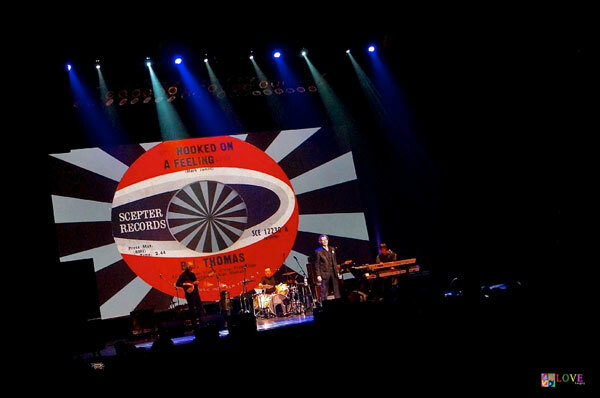 After receiving warm applause from the audience, Thomas performs his 1970 adult contemporary hit, “Most of All.” Then he launches into the easy-going vibe of his 1972 Top 20 single, “Rock and Roll Lullaby,” the audience clearly making him smile with their outpouring of love for his talent. 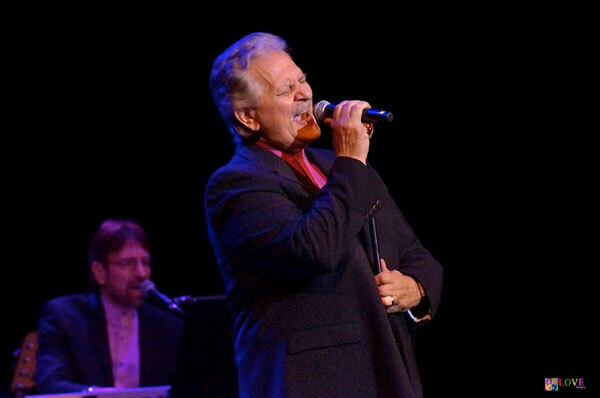 Thomas takes the audience back in time when he sings his 1970 single, “This Time the Girl is Gonna Stay,” his voice ringing out throughout the theater, delighting the audience with its wonderfully resonant sound. The swirling sounds of the electric sitar quickly change the mood from nostalgic reverie to rockin’ out loud, however, when the crowd recognizes the first few bars of Thomas’ 1969 Top 5 smash, “Hooked on a Feeling.” The psychedelic black and white swirling background adds to the mood of this classic ’60’s intro before morphing into a gigantic Scepter Records 45rpm label as Thomas sings, “I/I’m hooked on a feelin’/High on believin’/That you’re in love with me,” enticing the crowd to its feet. After introducing his talented band members, Thomas dedicates a song to “the redhead I fell in love with” — his wife of 49 years, Gloria. On his rendition of The Beach Boys’ 1964 classic, “Don’t Worry Baby,” Thomas encourages the women in the house to help him sing along, and they do with distinction as they perform the “Don’t worry baby” lyric while BJ’s beautiful falsetto floats over them, the band slowly building to a rocking climax. Thanking the women in the crowd for their “sweet vocals,” Thomas tells a story of how — back in the late 1960s — he moved from Memphis to New York City just for the opportunity to work with composer Burt Bacharach. 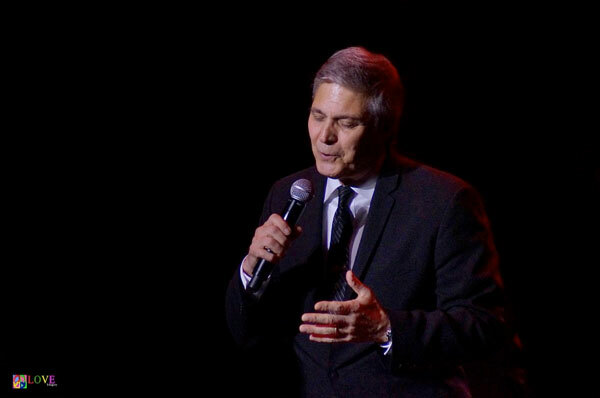 Disclosing, “I was in awe of him,” Thomas treats the audience to a bouncy live version of a tune Bacharach wrote for him, his 1970 #1 signature song, “Raindrops Keep Fallin’ on My Head,” for which he is rewarded with a well-deserved standing ovation. To thank them, Thomas concludes his set with an upbeat and soulful rendition of Jackie Wilson’s 1967 R&B hit, “(Your Love Keeps Lifting Me) Higher and Higher,” eliciting yet another standing ovation from the happy crowd! 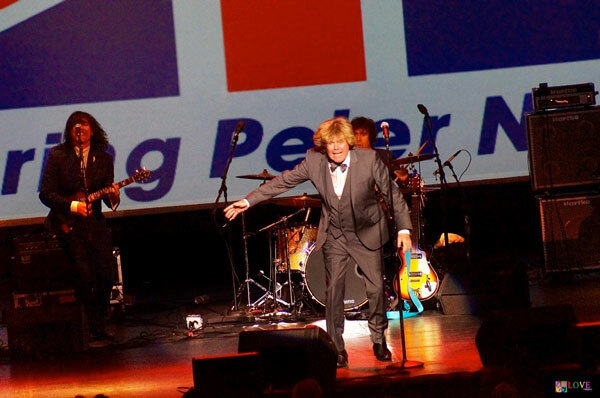 Following a short intermission, the entire audience starts clapping in an effort to bring Peter Noone and Herman’s Hermits out on to the stage. Noone and the group deftly segue into their 1965 #4 hit — a remake of Sam Cooke’s 1960 tune — “Wonderful World,” after which they perform a rockin’ cover version of the Clovers’ 1959 Leiber/Stoller smash, “Love Potion №9,” with the audience singing along. The audience sings along again as Noone and the band perform a boot-scootin’ tongue-in-cheek version of Johnny Cash’s “Ring of Fire,” and the crowd goes crazy for a rip-roaring over-the-top version of Frankie Ford’s 1959 hit, “Sea Cruise,” complete with Peter’s zany dance moves which completely captivate and energize the crowd! The audience roars with laughter and demonstrates their approval of Noone’s talent with even more rousing applause. With his guitar still in hand, Noone moves on to perform his 1967 hit, “No Milk Today,” the audience enchanted by this ’60s pop idol who still sounds the way he did as a teen. After giving away a CD and vinyl LP to a lucky man in the front row, Noone thrills the crowd with a poignant version of 1965’s “End of the World,” the audience tunefully singing along. At this point, he moves on to an outrageous version of The Rolling Stones’ “Jumpin’ Jack Flash” — strutting around the stage imitating the Rolling Stones’ Mick Jagger. 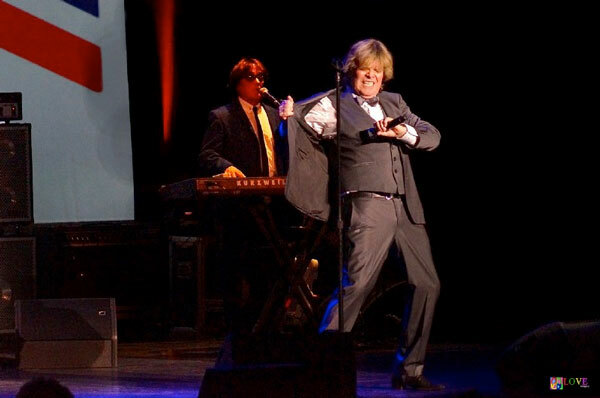 He follows that up with a bouncy rendition of the Hermits’ 1965 #2 hit, “Can’t You Hear My Heartbeat?” using the microphone in a comic attempt to enable the audience to hear his own beating heart. As audience members stand and sway, their arms and hands waving a happy goodnight, Peter Noone takes one last bow to end this magical evening of 60’s music featuring The 1910 Fruitgum Company, Dennis Tufano, BJ Thomas, and Herman’s Hermits — a performance which has surely delighted Noonatics Joanne, Barbara, Stephanie, Amy, Donna, and Kathy — not to mention making Noonatics, Thomas-tics, Tufano-tics, and 1910-tics out of a great many others! To learn more about the 1910 Fruitgum Company, please go to 1910fruitgumcompany.com. For more information on Dennis Tufano, please see dtsings.com. 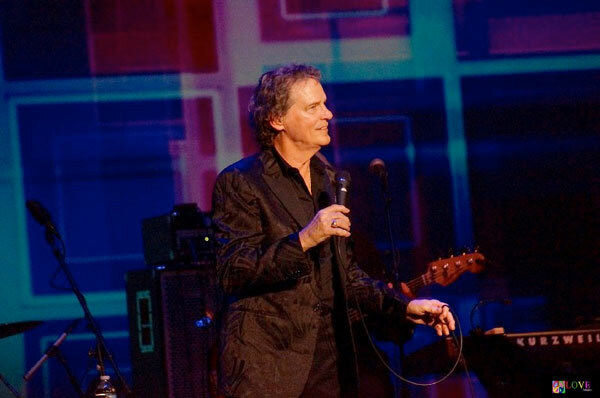 For further info on BJ Thomas, check out bjthomas.com. 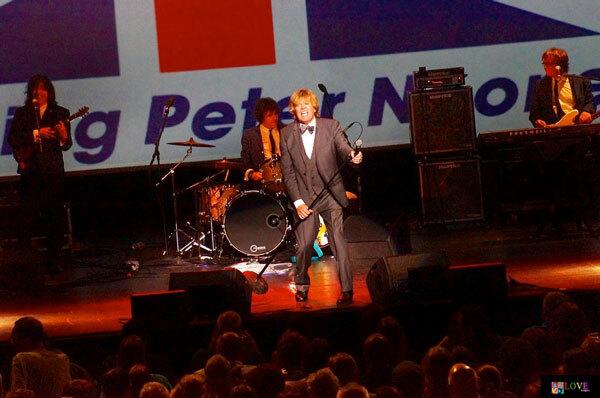 For more on Peter Noone and Herman’s Hermits, please go to peternoone.com. For information on future events at The State Theater — including The Happy Together 2017 Tour starring The Turtles, Three Dog Night’s Chuck Negron, The Association, The Cowsills, The Box Tops, and The Archies’ Ron Dante on June 14, 2017— please go to statetheatrenj.org.